What’s it like to be a curator? How do curators decide what to display? How long does it take a conservator to restore a painting? 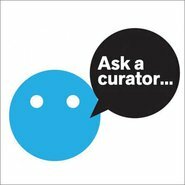 Join us on Twitter for Ask A Curator Day, a live Q&A session between museum experts and members of the public from around the world. A few of our knowledgeable staff will be online from 10am to answer your questions. To get involved, tweet us @artgalleryofnsw and use the #askacurator hashtag.